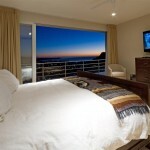 If you are looking for some of the best Cabo San Lucas real estate, check out Las Cascadas de Pedregal condos. 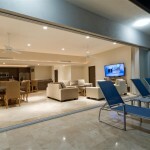 Well constructed, ADA compliant with some of the best views of the Sea of Cortez and the bay and city of Cabo San Lucas. Very close to town and the marina yet in the private gated community of the Pedregal de Cabo San Lucas with direct access to town, and one of the most beautiful, semi-private beaches in Los Cabos. 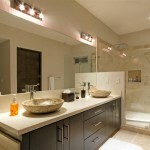 Las Cascadas offers 1, 2, 3, 4, and 6 bedroom condo options. 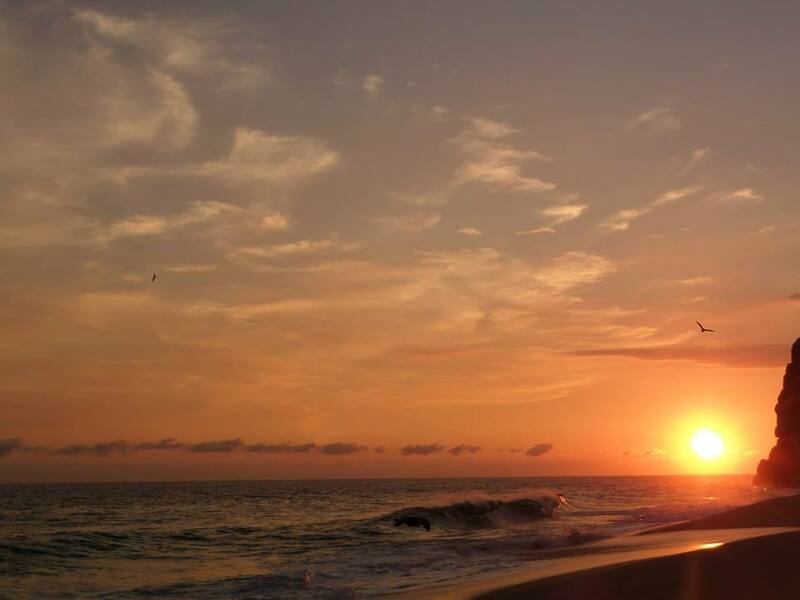 Wake up to a sunrise out of the Sea of Cortez, gaze out in the day at the blue bay of Cabo and all the activities it provides and fall asleep to the city lights or the moon over the Bahia de Cabo San Lucas. We have all heard that when buying real estate, it is location, location, location. 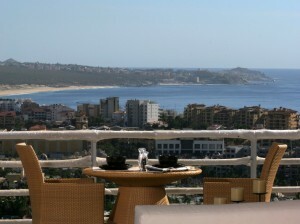 Well when it comes to Cabo San Lucas real estate, this is an irreplaceable location. This quiet private residential community is bordered on one side by nearly a mile of coast line and the opposite side by the city and marina of Cabo San Lucas. 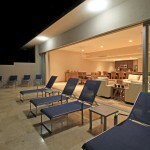 There is no other residential real estate in Cabo San Lucas that will ever have the same. The lands are gone! 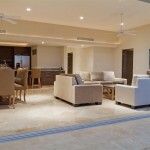 Las Cascadas de Pedregal is truly among the best of Cabo San Lucas real estate. This entry was posted in Uncategorized and tagged Cabo real estate, Cabo San Lucas Real Estate, condos for sale in cabo san lucas, condos in cabo, condos in cabo san lucas, condos in pedregal, homes in cabo san lucas, los cabos real estate, pedregal condos, real estate cabo, real estate in cabo san lucas on March 4, 2014 by Baja International Realty. Are you thinking about moving to Mexico? Now is a good time! The New York Times published an article, a couple of months ago, with the headline: For Migrants, New Land of Opportunity Is Mexico (Read the article here: http://bit.ly/bircaborealestate). In the article you can read that “the number of Americans legally living and working in Mexico grew to more than 70,000 in 2012 from 60,000 in 2009, a number that does not include many students and retirees, those on tourist visas or the roughly 350,000 American children who have arrived since 2005 with their Mexican parents.”. Why is that? New York Times lets one of the 70,000 American immigrants answer that question: “There is this energy here, this feeling that anything can happen”, said Lesley Téllez, a Californian whose three-year-old business running culinary tours served hundreds of clients here last year. “It’s hard to find that in the U.S.”. Domingo Dolores who moved here from France compares the two countries and says that in comparison “nothing is happening in Paris.”. “Spanish filmmakers, Japanese automotive executives and entrepreneurs from the United States and Latin America arrive practically daily — pursuing dreams, living well and frequently succeeding”, then why not you too? This entry was posted in Mexico News and tagged 2012, 2013, 2014, Article, baja, Baja International Realty, BCS, Cabo, cabo san lucas, Cabo San Lucas Real Estate, California, dreams, For, immigrant, immigrants, is, land, living, Mexican destination, mexico, Migrants, Move, moving, new, New York Times, NYT, opportunity, pursuing, real estate cabo, retire, retirees, succeeding, Sur, tourist, working on February 23, 2014 by Baja International Realty. Visit the Natural History Museum in Cabo, from Monday through Sunday. This entry was posted in Uncategorized and tagged Baja International Realty, buildable lots, cabo san lucas, Cabo San Lucas Real Estate, Cabo-Condos, Cabo-Homes, Cabo-Land, city light views, Close to downtown, condo for sale, condos, developer parcels, homes, investment property, land, los cabos, lots, marina and beach. baja, mexico, pedregal condo, pedregal homes, real estate, real estate cabo, Uncategorized, view properties, villas on June 6, 2011 by Baja International Realty. 30/50% Below the 2008 prices! This entry was posted in Uncategorized and tagged Baja International Realty, buildable lots, cabo san lucas, Cabo San Lucas Real Estate, Cabo-Condos, Cabo-Homes, Cabo-Land, city light views, Close to downtown, condo for sale, condos, developer parcels, homes, investment property, land, los cabos, lots, marina and beach. 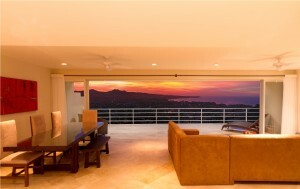 baja, mexico, pedregal condo, pedregal homes, real estate, real estate cabo, real estate opportunities, Uncategorized, view properties, villas on June 5, 2011 by Baja International Realty. 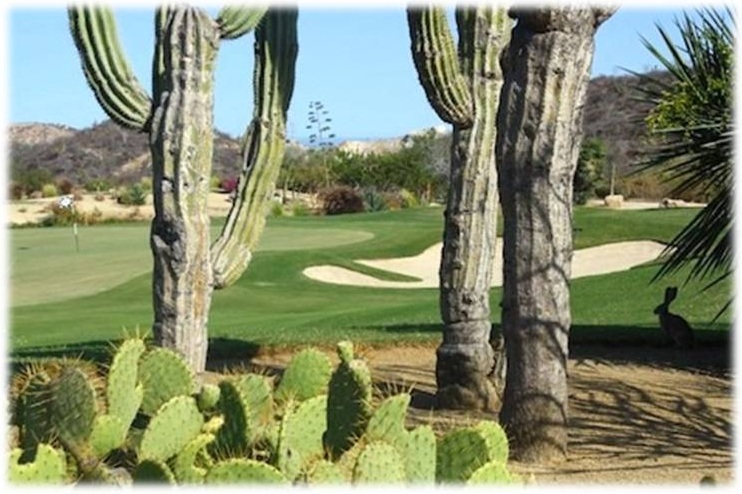 A Nevada company is seeking potential lenders, purchasers, and or qualified gaming, entertainment and resort/hospitality partners, to develop a 26+ acre parcel, right in front of the Cabo San Lucas Country Club. The land is completely entitled, and all permits and environmental approvals have been obtained. The land and improvements are free and clear of any debt (other than shareholder loans) and encumbrances, and title insurance is in force from Fidelity National Global Solutions, NY, NY. The future Resort project has been approved for gaming, with a 254-room Five Star Casino Resort with memberships, and 144 luxury condominiums with both Golf Course and Ocean Views. The environmental approvals and permits for construction are all completed. The project is “shovel ready”. The master plan has been approved by all federal, state and local government agencies. The company has been issued a Construction License and all related approvals to begin building immediately. The value for the land with all entitlements is approximately $37M U.S., based on a 2011 real estate comps. This entry was posted in Uncategorized and tagged Baja International Realty, buildable lots, cabo casinos, cabo gaming, cabo san lucas, Cabo San Lucas Real Estate, Cabo-Condos, Cabo-Homes, Cabo-Land, casino, city light views, Close to downtown, condo for sale, condos, developer parcels, homes, investment property, land, los cabos, lots, marina and beach. baja, mexico, pedregal condo, pedregal homes, real estate, real estate cabo, Uncategorized, view properties, villas on June 5, 2011 by Baja International Realty. The greatest opportunities for buying wholesale properties is right now! You can find properties 30-50% below market value, enjoy incredible vacations for 10 years, sell your property in 10 years and have a nice little nest egg of equity to enjoy in retirement. Real money in real estate is made when you can “buy at wholesale” prices and “sell at retail.” Wholesale prices are found at or near the bottom of real estate cycles (like now) and money is made selling when new demand is created and prices begin to rise again. Smart investors wait for market corrections and create wealth by buying when everyone is selling (like now) and selling when everyone is buying. This entry was posted in Uncategorized and tagged Baja International Realty, buildable lots, cabo san lucas, Cabo San Lucas Real Estate, Cabo-Condos, Cabo-Homes, Cabo-Land, city light views, Close to downtown, condo for sale, condos, developer parcels, homes, investment property, land, los cabos, lots, marina and beach. baja, mexico, pedregal condo, pedregal homes, real estate, real estate cabo, Uncategorized, view properties, villas on May 27, 2011 by Baja International Realty. Yes, foreigners can own properly titled full ownership property in Mexico. We have US Title companies and mortgage financing. For more information on the process of purchasing as well as costs involved. Please contact LaVonda Maloney e-mail address lavonda@bircabo.com. Also, if you would like for me to send houses, condos, land, lots, commercial listings please contact me at the above e-mail address. I am located in Los Cabos, Baja California Sur Mexico and it is a very safe retirement and second home destination. Please contact lavonda@bircabo.com for any information needed. This entry was posted in Uncategorized and tagged cabo san lucas, Cabo San Lucas Real Estate, Cabo San Lucas Rentals, Cabo villa rentals, city light views, Close to downtown, developer parcels, High end rentals in Cabo San Lucas, homes, investment property, lots, marina and beach. baja, mexico, real estate cabo, Real Estate Ownership in Mexico, retirement, safety in Baja California Sur, safety in Cabo San Lucas on May 24, 2011 by Baja International Realty. Perched at the summit of the upscale Pedregal community, this splendid Villa offers panoramic views of the ocean and white sandy beach below. Enjoy them while taking a few laps in the large swimming pool, soaking in the jacuzzi, or just sunning yourself on the beautifully landscaped patio. Price starts at $1,360 U.S. a night. This entry was posted in Uncategorized and tagged Baja International Realty, buildable lots, cabo san lucas, Cabo San Lucas Real Estate, Cabo-Condos, Cabo-Homes, Cabo-Land, city light views, Close to downtown, condo for sale, condos, developer parcels, homes, investment property, land, los cabos, lots, marina and beach. baja, mexico, pedregal condo, pedregal homes, real estate, real estate cabo, Uncategorized, view properties, villas on May 21, 2011 by Baja International Realty. 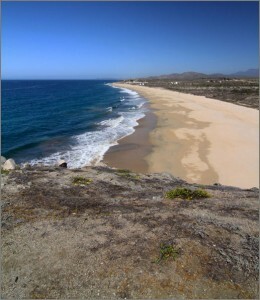 Located in Baja California Sur between Cabo San Lucas and Todos Santos with 445 meters of prime sandy beachfront. Property is 215,000 square meter (53 acres) of pristine beach front coastal property with an approved Federal Beach Concession, a Federal permitted high producing water well and highway frontage. The property features a towering rock promontory with uninterrupted coastal views to the north and south. The promontory is historically known for the best whale watching view point. The land has a 1/2 kilometer of road frontage on the main highway into Cabo San Lucas and has exceptional visibility that will only increase with the current expansion of the highway from 2 to 4 lanes to be completed this year. This property is ideal for development and has the potential to include an exceptional ocean-view restaurant and bar, beach club with a mix of single family residences and condominiums or hotel project. If you are looking for prime development land, this Pacific beachfront property should be considered. The Pacific, compared to the East Cape, offers better year around weather, beautiful surf with sunsets and much easier access. And with the current widening of the main access highway to Los Cabos, you get utilities. Additionally, with the center of the tourism being “Cabo” and the international brand being “Cabo” the Pacific has direct access to the guest and buyers that visit Cabo. With current and anounced resort projects such as Diamonte, Park Hyatt, Raffles, Shangri-la and Laguna Cabo already stretching out the first 7 miles from Cabo……the move has already started. The Cabo San Lucas – Todo Santos corridor located on the Pacific side of Baja California sur, is the next major growth are in lower Baja. Real Estate Cabo San Lucas Mexico. New Construction Mega Penthouse 6 Bedrooms 6 1/2 Baths 6,100 square feet one of a kind. Massive blue water and city light views. 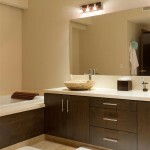 Thermador appliances, habachi grill, sushi setup, pizza oven. Living area glass pocket doors 61 feet long. 61 foot common area pool with built in BBQ, state of the art gym and spa, clubhouse. 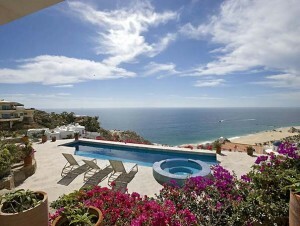 In the hills of Pedregal, 24 hour guard gated, tennis courts, bistro, private beach, farmers market. Great Value, great rental. For more information contact LaVonda Maloney – lavonda@bircabo.com 925-465-5373. 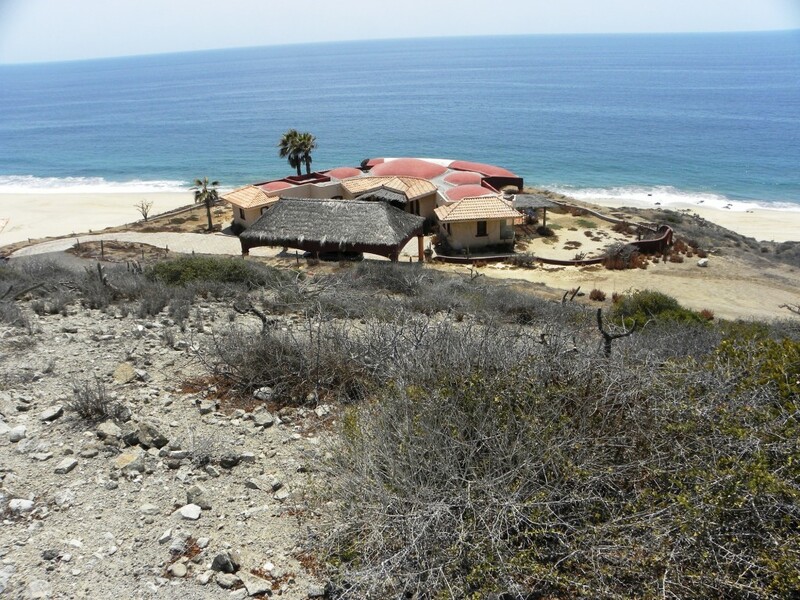 This entry was posted in Uncategorized and tagged Baja International Realty, buildable lots, cabo san lucas, Cabo San Lucas Real Estate, Cabo-Condos, Cabo-Homes, Cabo-Land, city light views, Close to downtown, condo for sale, condos, developer parcels, homes, investment property, land, los cabos, lots, marina and beach. baja, marina and beach. \Amazing blue water views, mexico, pedregal condo, pedregal homes, real estate, real estate cabo, Uncategorized, view properties, villas on May 20, 2011 by Baja International Realty.